Morgan dropped the Pugh from his name later on, a move some have attributed to a desire to separate from his middle class roots, but that Morgan himself said was just because Pugh-Morgan was too long for a byline. 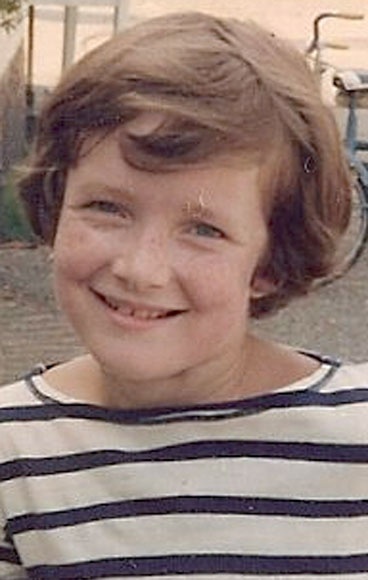 As a child, Morgan showed an early affinity for the media. As early as age seven he would sit at the table, devouring the daily newspapers, reading the headlines and discussing the day’s events with his parents. By the time he was a teenager, he was writing news articles – he even sold a piece to the Mid Sussex Times and then to Cricket Magazine at the age of 14. “It gave me the real taste of the excitement of a byline,” he said of the sale. It’s not too much of a surprise, then, that a few years later when the time to consider a career rolled around, Morgan had it set in his mind that he would become the most famous media personality in Britain. He developed a master plan, and opted not to take up an offer to attend Warwick University to study History. That would have kept his master plan on hold for a few years while he completed his education. So instead, he went directly to Harlow College and dived into the formal study of journalism as soon as he could. Morgan’s first formal journalism gig was at the South London News, and then he joined The Sun to write the gossip column entitled “Bizarre.” As The Guardian put it, Morgan spent his years at The Sun “…grinning inanely while posing next to a succession of personalities.” Morgan wouldn’t disagree with The Guardian’s characterization of his initial years in media, as he himself told the BBC he made a point of putting himself in the middle of stories, posing for pictures with celebrities, and generally getting his name and face out there for all of Britain to see. By 1994, at the age of only 29, Morgan secured his place in British media history when Rupert Murdoch named him as editor of News of the World. Piers Morgan was the youngest editor of ever of News of the World, and the youngest editor of a paper in Britain in five decades. The News of the World had the largest circulation of any paper in the country at the time, and the editorship gave Morgan a platform in which to put his hard-charging, oft-controversial journalistic methods on display for a huge population of readers. He even helped breach the previously untouchable barricade of the royal family. 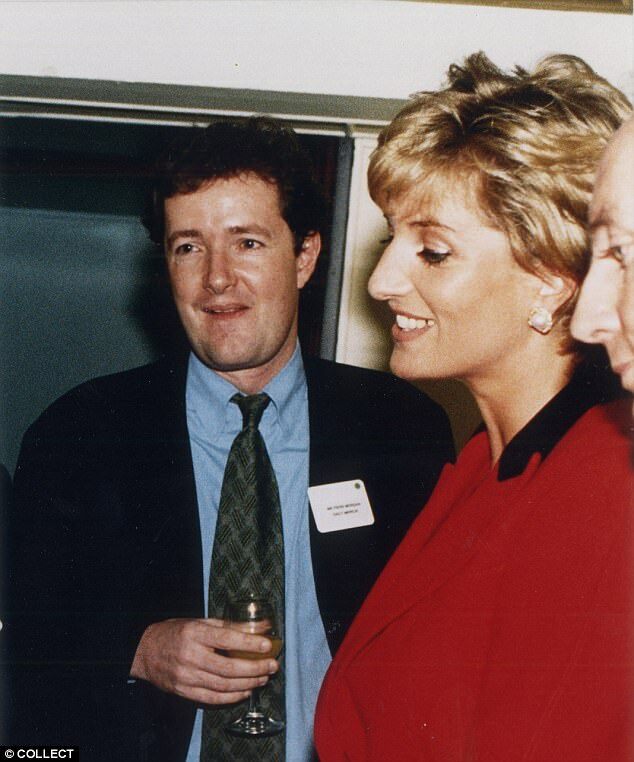 By the summer of 1994, Princess Diana and Prince Charles’ marriage was well on its way to its official end, and Morgan and News of the World weren’t going to miss out on the opportunity to publish on potentially juicy royal scandals. Morgan had caught wind that James Hewitt, an officer in the British military, wanted to spill the beans about his affair with Princess Diana. With no fear of potential repercussion or for the longheld level of dignity with which the royals had been treated, Morgan reached out to Hewitt and arranged to interview him for a story. He and his associate even bugged the hotel room where the interview took place, ensuring they would have proof of everything that was said. Then, that fall, a book about Prince Charles and his private life was set to be published. While News of the World didn’t have any excerpts, The Sunday Times did. Morgan wasn’t ready to give up a scoop to another paper, nor was he willing to take ‘no’ as an answer when he was denied access to information from The Sunday Times. Instead, he directed Rebekah Brooks who had also helped out on the hotel interview, to disguise herself, sneak into The Sunday Times offices, grab a copy, and get it back the News of the World as quickly as possible. She succeeded, and Morgan and News of the World was able to publish huge news about the Diana and Charles drama for the world to see, well before every other paper except The Sunday Times. If he wanted to be a famous journalist, why did Morgan settle for running gossipy relationship stories? Well, to him, everything was news. This egalitarian attitude allowed Morgan to quickly prove his mettle and his willingness to do whatever it took to be successful in breaking stories. But he only lasted at News of the World for a bit over a year. Though Morgan has said that he left the publication of his own accord, the timing of his exit coincided with the publication of a photo of Princess Diana’s sister-in-law leaving an addiction treatment clinic, the publication of which even Rupert Murdoch said went too far. In 1995, shortly after the photo ran, Morgan moved on to head up The Mirror, another paper owned by Rupert Murdoch. Here, his tenure lasted much longer than it did at News of the World. The number of controversial stories he was involved in was correspondingly larger, and as a result his profile continued to rise – even outside of Britain. It only took a year before Morgan found himself embroiled in his first major controversy at The Mirror. The day before England was set to play Germany in the Euro ‘96 football championships, The Mirror ran a headline and photo on its front page that many did not find amusing. Above a doctored image of two English players wearing World War II helmets was the headline “ACHTUNG! SURRENDER! For you Fritz, ze Euro 96 Championship is over.” Next to it was a letter written by Morgan himself in the style of Neville Chamberlain. Reportedly, Morgan also planned a publicity stunt that involved driving a tank to the German embassy. In the ensuing uproar about the headline, that stunt was cancelled. Suddenly, Morgan found himself in a position his hard-charging personality didn’t seem suited for – apologizing. There were fears the kind of attitude promoted by the headline may incite acts of violence during the games. Though Morgan was apologizing, he was right where he wanted to be – at the center of attention. In 2000, though, the attention turned from an editorial decision he had made to a personal financial scandal. A competing newspaper published a story alleging that Morgan bought 20,000 pounds worth of stock in a computer company – and that he made the purchase just before The Mirror ran a piece naming the stock as a good buy. An inquiry began, and it was decided that while Morgan had breached an ethical code of conduct, he could keep his job. Other Mirror employees weren’t so lucky – the columnists who wrote on stock buys lost their jobs, and it was another four years before Morgan was cleared of wrongdoing. 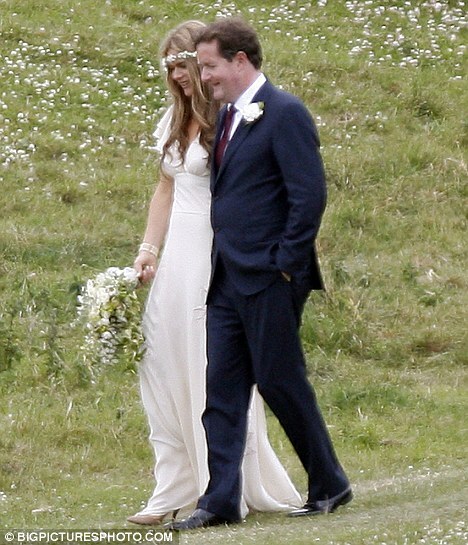 However, it did later come out that he bought additional stock under his wife’s name – another 70,000 pounds worth. By the time that revelation came about, Morgan was already on the skids at The Mirror. As editor, he had been leading the charge against the Iraq War in the British press, loudly criticizing then Prime Minister Tony Blair for his support of the war. Among the stories published on the war under Morgan’s leadership was a piece that included a photo of British soldiers abusing Iraqi prisoners. As recently as a 2016 BBC interview, Morgan defended the photos, saying they were real and that the British government had a “vested interest in getting rid of me, their biggest thorn in the side about the war.” But The Mirror didn’t defend them strongly in the wake of the allegations they were fake…the British people instead got a paper with a large headline that stated “Sorry…we were hoaxed.” And the man who had okayed the publication of the photos was subsequently out of a job. When Morgan’s firing was announced, staff members at the paper were in tears. After nearly a decade, Piers Morgan’s reign at The Daily Mirror was over. True to form, though, he didn’t slink away into the night. Instead he became a regular feature on people’s TV screens. Though he had already been appearing on TV before leaving the newspaper business, Morgan stepped up his involvement with broadcast media after his firing. One of the first offers Morgan received for a regular TV gig was via a text message from Simon Cowell. 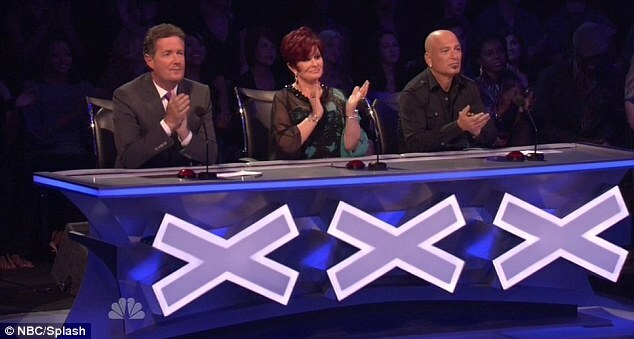 And in 2006, America welcomed Morgan into their homes as he served as a judge on America’s Got Talent. He also judged Britain’s Got Talent, and appeared on then-just-a-mogul Donald Trump’s reality show The Celebrity Apprentice. Morgan won his season of The Celebrity Apprentice, and in the process became close friends with now-President Donald Trump. Morgan said all along he believed Trump would be President, and has been outspoken about his dislike for the protests that erupted after Trump’s election. Morgan’s diatribes on the subject have even led celebrities to decline interviews with him. But Morgan knew what opening his mouth could lead to. He’s no stranger to the ins and outs of the American political and media institutions – he served as the host of a primetime show on CNN for several years, after all. When Larry King announced his retirement in 2010, Morgan was named as the replacement for the longtime, iconic American host. The show started strong, with Morgan able to book some of the biggest names in media and politics for interviews. Oprah, Rudy Guiliani, Ricky Gervais, Condoleeza Rice, and even two of the Kardashian sisters… And he made just as many headlines for the interviews he didn’t do. Madonna was deemed too old to appear on his show and banned from ever being a guest. But all the initial hype wore off quickly. Morgan had a different style from King, and he was a British person taking over an American news and interview show. Ultimately, he only lasted three years in the host’s chair, as poor ratings doomed him to failure. He’s attributed the show’s failure to a clash of cultures, citing such factors as his own outspoken opposition to guns as one such example of cultural differences that just couldn’t be bridged. The CNN show wasn’t Morgan’s only project during that time period. He was also hosting ‘Life Stories’ for ITV, whose subjects were as diverse as Sharon Osborne and the Prime Minister. Now, he’s the permanent co-host for Good Morning Britain where he keeps himself in the spotlight, most recently sparring with a gender fluid guest over the validity of gender fluidity. Amidst his rise to television stardom, Morgan had to contend with accusations dating back to his newspaper days. In 2005, News of the World – which, remember, Morgan headed up for a year – published a story about Prince Harry injuring himself. The only way they could have gotten the details for that story claimed royal officials, was if they had hacked personal voicemails. Thus set off a series of events that rocked the British media, political, and celebrity world. Arrests were made, investigations were done, lawsuits were filed, and it takes six years before some actual action is taken to address the phone hacking scandal. Rupert Murdoch issues apologies for phone hacking in print in the form of a full page ad in the last issue published of News of the World. Rebekah Brooks – the same Rebekah who Morgan had break into the Sunday Times office – resigned as CEO of News International. She’s then arrested, though quickly released on bail. The FBI opened an investigation into News of the World and allegations they were hacking into the phones of 9/11 victims. London’s police department was investigated for corruption. Needless to say, the scandal enveloped England, and the world was paying attention. Though Morgan had been out of the newspaper world for some time, he was not immune to being questioned about the scandal. In fact he had to answer questions regarding the voicemails of one of England’s most famous personas…Sir Paul McCartney. 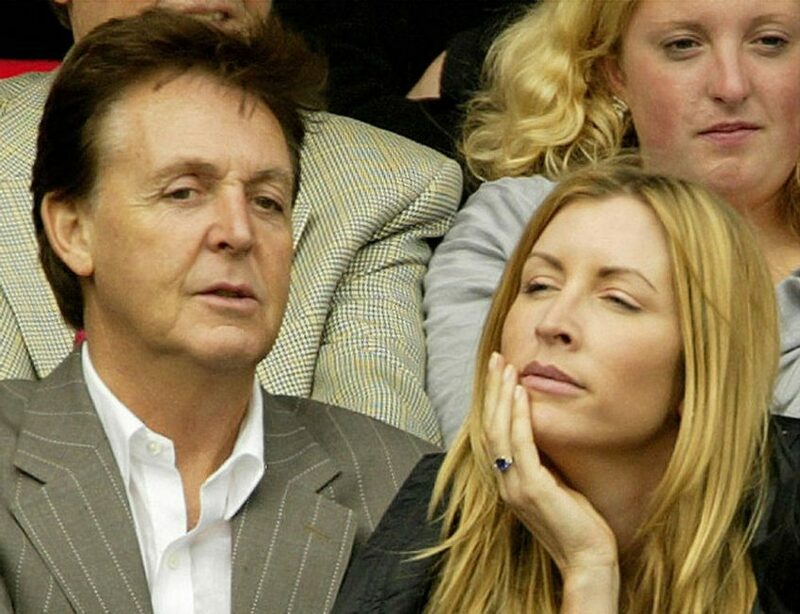 McCartney’s ex-wife, Heather Mills had alleged that her voicemails had been listened to after she and McCartney had a fight in 2001. A reporter who called her just seemed to know too much, and Mills maintained that she hadn’t shared the voicemails with anyone, and that she had deleted all of them. The only way anyone could know as much as that reporter did was if he himself had hacked and listened to the voicemails, or talked to someone who had. Morgan had mentioned in 2006 that he had heard a message from McCartney to Mills, and as a result he was called to testify in the 2011 inquiry into phone hacking. Morgan wouldn’t reveal how he’d come to hear the message, and he also maintained that he never authorized the hacking of voicemails at News of the World or the Daily Mirror. The head of the hacking inquiry, Lord Justice Leveson, called Morgan’s testimony that he didn’t know about phone hacking to be “utterly unpersuasive,” securing Morgan’s place in the scandal as undecided, at best. And, despite his denials of direct involvement in hacking, Morgan was interviewed by the police about the hacking in both 2013 and 2015. Phone hacking, incendiary headlines, taping interviews about the royals…you might think that would be enough for any one person to face in the course of a media career. But Piers Morgan has been embroiled in personal controversy with other celebrities. One much-publicized drama stemmed from an action Morgan took as editor of The Daily Mirror … publishing photos of “Top Gear” host Jeremy Clarkson with a woman who was not his wife. Clarkson, understandably so, was perturbed by these photos being put out there for all the world to see. So he hurled a glass of water in Morgan’s face. That might not seem out of place in your average bar, but onboard the last flight of the Concorde the altercation stood out. And the fact it was between two highly visible members of the British media? Even better. A feud between the two men had officially started. 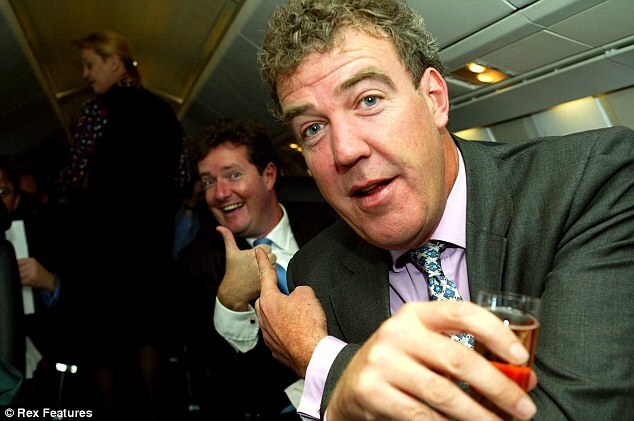 The feud literally came to blows in 2004 when Clarkson punched Morgan in the head at the National Press Awards. Clarkson broke a finger, Morgan gained a scar, and the celebrity gossip columnists gained a new story. By the time he entered his 50s, Morgan was acquainted with many of the same trials and tribulations of life he assumed Clarkson had dealt with. His own marriage fell apart by the mid-2000s, and he and his first wife Marion Shalloe officially divorced in 2008 after 27 years of marriage. Their marriage had produced three sons, and Morgan makes a point of staying in close contact with his children. In fact, amidst all the demands on his time Morgan has made a point of speaking to his children every day. Though he claims he doesn’t want his own personal shame shared in the National Enquirer, Morgan has made a career out of sharing the intimate details of other people’s lives. He’s never been shy about sharing his political opinions – or any opinions. He’s made a name for himself, made a few enemies along the way, and shows absolutely no sign of stepping out of the spotlight anytime soon. From middle class Sussex to the TV sets of people around the world, Piers Morgan has lived out the plan he wrote at the age of 17. And he’s still got plenty of career left to go. What will the world see next from Piers Morgan? Well, whatever it is, when it happens we’ll surely see it in the news.